Reeling from the losses of the past year, the Quelstow family must find a future in the shadow of the Strangbrouden aerie. Caden, haunted and broken, and Rane, in a state of frightening and ever-changing evolution, struggle to discover their place in a fractured world. But when an ancient enemy rises in the mountains to the west, Rane and Caden must set aside their pain and ambition to fight for their own survival—as well as that of humanity and dragonkind. A hidden truth and a shattered promise threaten all, forcing the siblings to make difficult decisions. One wrong move could bring a devastating war to the three races of the Blessed Empire, but in a world where every side has their own twisted agenda, which choice is right? As warrant knight Gavin Kinshield unravels the mystery surrounding the king's disappearance, his strongest convictions are tested by his greatest fears. His journey of rescue and recovery is wrought with peril, but the worst is yet to come. He must face humanity's greatest adversary, but can he emerge victorious without suffering the king's fate? If you like fierce action, flawed heroes, and fast-paced epic fantasy, you'll love KC May's gritty adventure series. Battered swordsman Gavin Kinshield makes his living by selling his labor and saving innocents from the monsters that invade the realm of men. All he wants is a few coins to buy a decent meal and warm bed until a scholar tempts him with the letter written by his ancestor Ronor Kinshield, the last person to see the king alive. To get the letter, all he has to do is track down a common thief. But after Gavin saves a woman’s life, what should have been a simple task draws him face-to-face with his nightmarish past... and the truth of the king’s demise. Gavin Kinshield has no money or army, but he’s determined to protect his people from the beyonder attacks. With his new power of Wayfarer, Gavin has the ability to journey to all seven realms. To end the invasion, he must travel to the realm of chaos and summon the most powerful beyonder of them all. But can he escape before the beyonder champion kills him, devours his soul and takes his place as Wayfarer? Gavin Kinshield faces new challenges, including a magical deluge of unending rain and an age-old mystery whose time has come to be revealed. A former member of an elite battlers guild, Cirang Deathsblade has a dark past. She sits in gaol, awaiting the new king’s sentence for her terrible crimes... but she’s not who he thinks she is. In exchange for leniency, Cirang leads Gavin to a centuries-old, hidden journal that holds the secrets of ancient kings and a magical wellspring with its own dark past... and an even more terrible future. Dozens have been corrupted by tainted water from the Well of the Damned, including King Gavin Kinshield’s beloved wife. He’s desperate to reverse the water’s effects and restore Feanna to the kind and compassionate woman he married. And what of his helpless heir growing in her toxic womb? To save his unborn son, Gavin must find a solution before the darkness that’s overtaken Feanna also stamps out the tiny spark within her. Help seems to appear in the unlikely form of the Guardians, two ghostly figures tethered to the crystal that lies deep within the wellspring. Can Gavin trust them... or will their own agenda take the lives of his wife and son—and bring on the utter destruction of the seven realms? WHAT WOULD YOU DO TO SAVE YOUR CHILD? Sithral Tyr watched helplessly while three of his children died of a strange illness. When his last remaining son falls ill, he gives up on his clan's shaman and, amid protests from the clan chief and his neighbors, Tyr sets out to find a cure for his son. His journey takes him to a land of danger and debauchery where he's forced to make the ultimate sacrifice in the hopes of saving not just his son but his entire clan. "A well written and intriguing story." A powerful gift from a mysterious stranger gives Terik, the disabled heir to the Lordover Calsojourn, a chance to experience life unconfined to his chair. But it’s not until he meets the warrant knight Gavin Kinshield that he realizes the gift is more of a curse. This short story is available free for my newsletter subscribers. It’s not available to purchase. Click News to find out more or sign up below. Jora Lanseri always planned on fulfilling her duty. She was to be a wife and mother, nothing more. But when she discovers she has the uncommon ability to enter the Mindstream, allowing her to witness any event in the past or present, her fate changes for good. Whisked away to a new life in the capitol, Jora begins her training as a Truth Sayer. Her brand new world turns terrifying when she witnesses a shocking crime with world-shattering implications. Faced with losing her family, Jora must solve the crime in addition to an ancient mystery lying at the bottom of the sea. As an unlikely ally supplies her with answers, Jora must summon every ounce of her strength and courage to save everyone she loves. Condemned murderer Jora Lanseri is offered a chance at redemption in exchange for her silence. Driven to protect her only remaining brother, she must secretly uncover the dark and hidden forces that are smuggling the life-giving godfruit to Serocia's enemies and perpetuating the long and bloody war. Aided by the dolphin Sundancer, Jora discovers more long-forgotten secrets of the Spirit Stones, giving her one chance to turn the tide against the warmongers profiting from the deaths of Serocian soldiers. When she learns the identity of the one calling the shots in this twisted scheme, she must risk the king’s wrath and the lives of those she holds most dear to stop her nemesis. At long last, Gatekeeper Jora Lanseri has what she needs to unite Serocia’s enemies under a long-awaited peace treaty and end the hundred-years war. But she has opposition. She must battle her nemesis Ibsa Bervoets, who seeks to sieze power from Jora and the queen. When the diplomats sent to negotiate the peace fall suddenly silent, Jora is sent to learn what happened to them. On the Isle of Shess, beneath the shadow of the Tree of the Fallen God, she comes face-to-face with a powerful new foe whose only purpose for existence is her destruction. The continuing tale of Jora Lanseri, whose ongoing battle of magic and wits against her nemesis leads to consequences neither of them could possibly have imagined. Gatekeeper Jora Lanseri has emerged victorious once again, despite Dominee Ibsa’s refusal to help. Now Jora must journey to the neighboring city to recover the stolen godheart and bring Ibsa back to face justice for betraying the queen. But when Jora returns to the capital, she finds powerful forces have converged with one goal in mind—to force the Gatekeeper to do their bidding. The continuing tale of Jora Lanseri, whose ongoing battle of magic and wits against her enemies is taken to a new level with even greater stakes—her very soul. Having unleashed the darkness inside her, Gatekeeper Jora Lanseri has chased the enemy from Serocia’s shores. Now at the height of her power, she faces a new challenge—to rescue the abducted king and retrieve the stolen godheart before the war ship carrying them reaches harbor. The rogue scribe Ibsa has escaped Jora’s wrath aboard the fleeing ship and seeks to earn the prestigious title of Prime Maga. But she has what Jora wants. The only way to protect herself is to convince the god—by whatever means necessary—to slay the Gatekeeper. To her great fortune, among the ship’s cargo is the god's crystal heart. Can Jora rescue the king and save the god from unspeakable torment before the darkness inside consumes the last vestiges of her humanity? When Gatekeeper Jora Lanseri learns the princess has been convicted by a vengeful enemy of terrible crimes, she must free the delegates trapped in gold statues on the Isle of Shess to trade for the captured princess. Now, with the enemy warships on her heels, Jora must protect the king while negotiating the princess's freedom... and keep the monster inside her from destroying them all. They never expected her to fight back. In a world of endless war, one woman learns the key to achieving peace—and the magical power to carry it out. But when profiteers discover her secret, to assure her silence they threaten everything and everyone she holds dear. Ryder wants to be free. Katie wants him to save the world. A supervirus threatens to wipe out the human population. The only hope for the future is a cure hidden inside Ryder Stone. Created in a lab and brutalized, betrayed and hated by humans, Ryder yearns for freedom. Outside, a group of human genetic purists want him dead. When Katie Marsh, a brilliant young geneticist, discovers his secret, she must fight to protect Ryder, gain his trust...and convince him to save humanity before the purists destroy them both. Dr. Benjamin Sykes, a brilliant neurosurgeon and engineer, has developed a device to cure psychological and neurological disorders. He awakens a comatose schizophrenic, only to learn the patient believes his hallucinatory friend is a manifestation of God. Can Ben find a way past his consuming need to fix people and separate the delusion from the religion without destroying the patient he's worked so hard to save? Available to buy in the Endless Worlds anthology. What price is too high to save someone you love? A mysterious illness strikes down a young woman pledged to the god of the Blessed Empire. Two brothers, as helpless as the healers who say there's nothing more they can do, watch while their sister fades away. Determined to save her, they approach a dragonborn alchemist who promises help but leads them along a path of hardship, darkness, sacrilege, and death. Impossible choices divide the brothers as their love and loyalty are tested. What price is too high to save someone you love? How far would you go to save someone’s soul? Outcast from the temple, brothers Caden and Deshic journey with their family to the Plains of Fire to seek absolution for their crimes. There they endure cruel punishments under the unrelenting eye of the woman who rules over every soul at the temple compound. When the faithful's true plans for their sister, Rane, come to light, she and Caden flee to dragon territory in search of help. They must act before time runs out to save Deshic and their parents from unthinkable horrors. But the elder dragon lord has troubles of his own that could unbalance the races and spell the end to a peace accord that has lasted for centuries. Want the latest scoop on my books, offers, and special sales? Sign up for my newsletter and get your free starter library. Book 1 in the bestselling Kinshield Saga series. Get it free! A tragic story about a father’s efforts to save his son. Get it free! The story of Gavin Kinshield’s feud with mage Brodas Ravenkind. Get it free! A newsletter exclusive! Get all three books free. No spam. Unsubscribe any time. I started writing as a kid, but never considered writing for publication until I was around 30 years old. Then it occurred to me that making a living as a writer wouldn't be a bad deal. 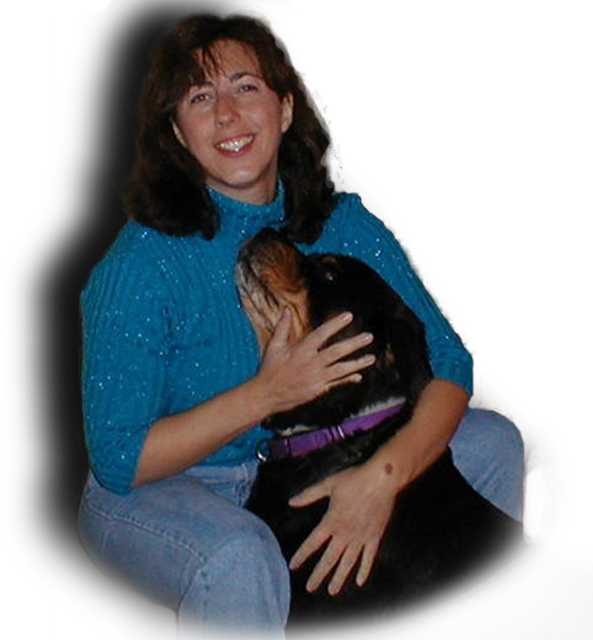 By the time I was first published, I'd written four novels, gone through numerous workshops and critique groups, and worked hard to improve my writing skills. In 2005, I attended the Viable Paradise workshop in beautiful Martha's Vineyard. It was without a doubt the single most influential, helpful writing-related event I've experienced. That same year, I entered my newly completed fourth novel in a contest for which the first-place prize was a hardcover contract. I won! The publisher wanted to work with an agent, though, so I made a list of the ten most relevant agents for the genre and queried them. That's when I found out that getting an agent when you already have a publishing contract is pretty easy. The Kinshield Legacy was my first published novel. At the five-year mark, the publisher reverted rights back to me, and so I self-published it under the imprint name Peach Orchard Press, to make it available in ebook and paperback. In the late 1990s, I was a contributing author for a tech book on Seagate Crystal Reports 7. I also wrote professionally for software companies for about fifteen years, with a nine-year break to write software (C++). I also write code in Java for Android applications, and PHP for the web because, as with writing, I can’t get enough!